In the last scheduled voting session of the year, both the Senate and Assembly canceled scheduled votes on legislation to expand New Jersey’s paid family leave program,apparently to give legislators more time to discuss the issue. NJBIA opposes the bill and had raised a number of concerns about the bill with lawmakers. While the bill is being held now, it can be brought back up for a vote at any time. The bill would double the length of leave employees can take from six weeks to 12 and increase benefits to 85 percent of a worker’s weekly wages. Businesses with 30 or more employees would also have to provide job protected leave, instead of only those with 50 or more employees under existing law. 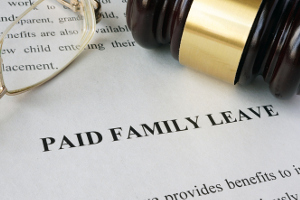 New Jersey is one of only four states that have implemented a paid family leave law, and one of only two states that has both paid family leave and temporary disability insurance programs. Expanding the length of paid family leave will force small businesses to pay more overtime to workers or hire replacement employees for longer periods of time. With more employees utilizing these programs there may also be a negative impact on employers’ TDI rates. Meanwhile, the Senate passed legislation backed by NJBIA that would help streamline government regulations. NJBIA has long supported the bill as a way to make it easier for small businesses to succeed here, Vice President of Government Affairs Andrew Musick said. If they are smart they will KILL THIS BILL. How much more do they think small businesses can take? They only want to play to those who will vote for them, and there are always more employees than owners. They are just pushing us small business owners out of the state if they are considering small business kill the bill. You should to try to track the hours of all employees of the state.